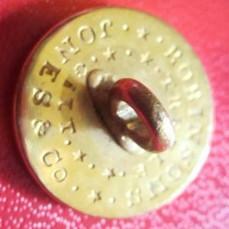 Robinson, Jones, & Co. Gilt buttons.. | mizzeliz – working for you..
Robinson, Jones, & Co. Gilt buttons.. Here are some buttons that I love.. 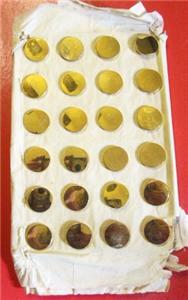 They are really old and have a gilt wash on them so they are really beautiful even though they are plain on the front. That means that they were dipped in a liquid gold bath.. Yes I bought a card of 24 of them.. Gotta love them..